... the illustrator of several incredible Little Golden Books, Miller's art is still influential to a new generation of animators artists. 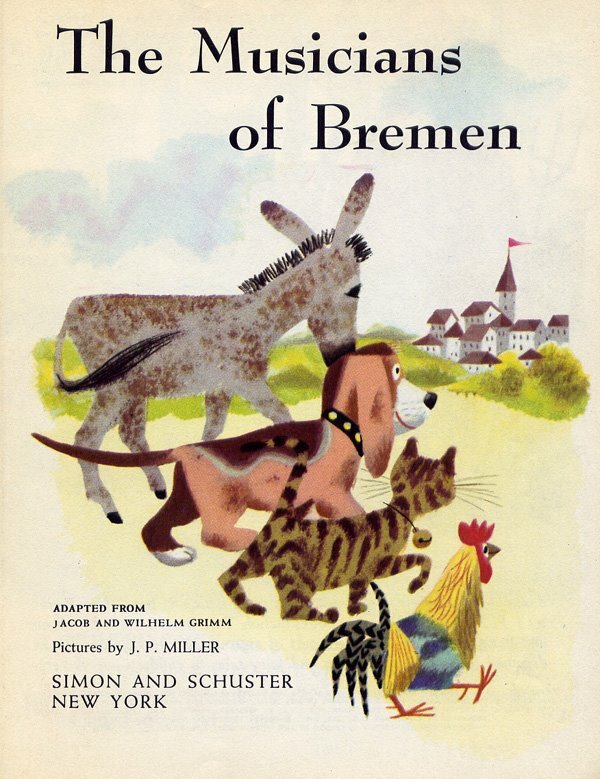 His "Little Red Hen" is still in print and considered a classic. 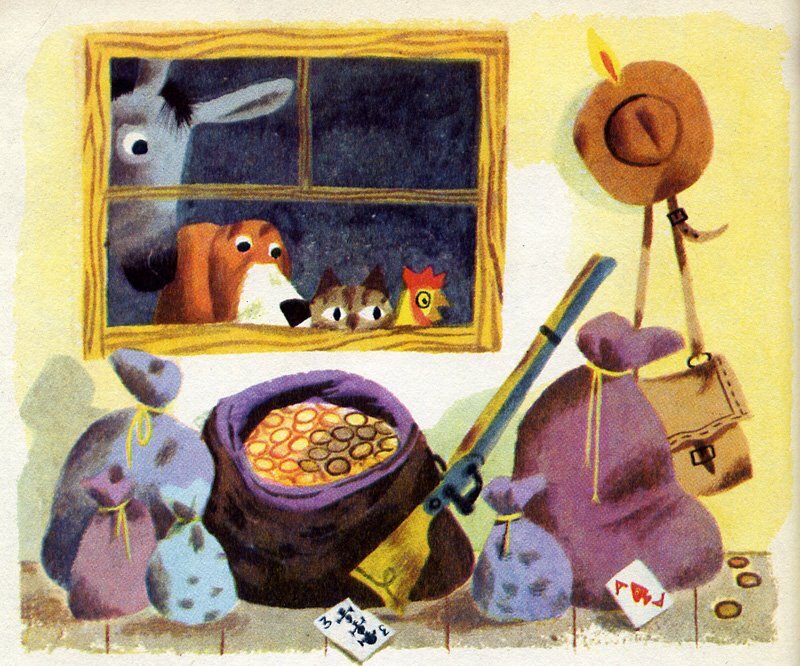 "Lucky Mrs. Ticklefeather," "Little Pee Wee" "The Little Golden Funny Book", "The Marvelous Merry-Go-Round", "Tommy's Wonderful Rides", "The Circus ABC" and many others, define the Little Golden Book style. 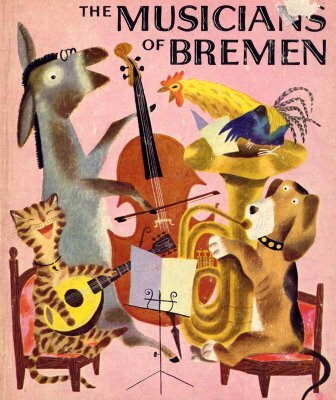 These books, all done in the late 1940s and early 50s, are prime examples of the stylized modern commercial art of the era - and a huge influence on many of today's best animators (including Spumco), leading cartoonists and commercial designers. 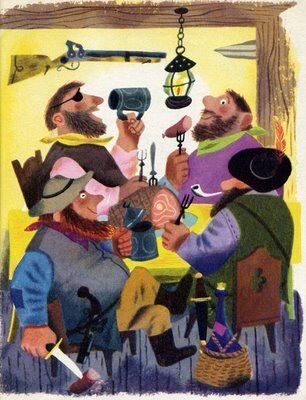 Also, be sure to read A Remebrance of John Parr Miller by his brother George Miller at Cartoon Brew. It details his beginnings as an animator at Disney during the depression. 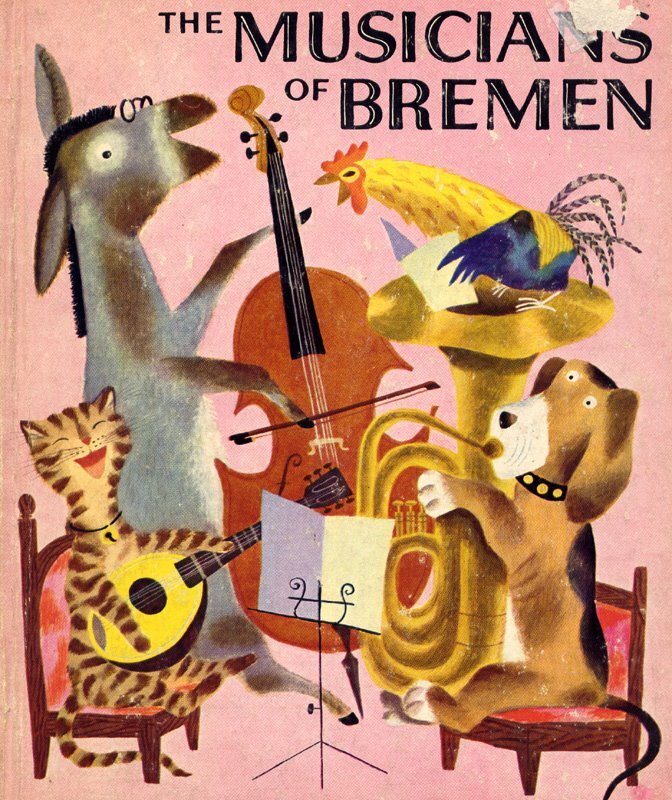 These samples are from the Little Golden Book version of the Brothers Grimm classic The Musicians of Bremen, 1954. OH!! These are very coool!! great postings! I had this one as a kid!